BCCFP»About Us»News»BCCFP awards: Do you know an exceptional family doctor? BCCFP awards: Do you know an exceptional family doctor? 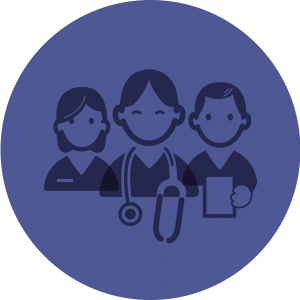 Family doctors work in practices, clinics, hospitals and universities across BC. Every year, the BC College of Family Physicians (BCCFP) awards program provides peers and patients with the opportunity to recognize and honour some of the province’s exceptional family doctors. We also have a special award open to other professionals who have made a significant contribution to family medicine or a positive impact on community health. If you have a colleague who deserves to be recognized for their contribution to family medicine, or you would like to recognize the care that you receive from your own family doctor, nominate him or her for one of our 2016 awards. My Family Doctor Award – this award provides patients with the opportunity to recognize the work of their family doctor. Tell us why you value the care that your family doctor provides to you or a family member. Exceptional Contribution to Family Medicine – this award is open to family doctors or other health professionals, recognizing their contribution to family medicine or community health. BC Community Family Physician – family doctors working in a community family practice are eligible for this award. Nominees have qualities that may include: excellence and/or uniqueness of practice; innovation in developing a new program to address health care needs in the community; or a commitment to charity/humanitarian work. BC Rural Family Physician – family doctors who have provided a longstanding contribution to a rural community are eligible. Nominees have qualities that may include: excellence and/or uniqueness of practice; innovation in developing a new program to address health care needs in the community; or a commitment to charity/humanitarian work. BC Family Practice Teacher – this clinical teacher award recognizes teachers or preceptors (family doctors) who provide outstanding teaching in family medicine to undergraduate or postgraduate students. BC Family Practice Researcher – to be eligible for this award, a nominee’s contribution to research may include: participation in an innovative program of research; published articles in peer-reviewed journals; or substantial leadership to others in developing research projects. To find out more about all BCCFP awards, including financial awards for residents and medical students, click here.